The specialists of JSC “MSU-90” and OJSC “UAT” installed a piece of large size equipment in the reactor building of Power Unit 1 of the LNPP under construction. 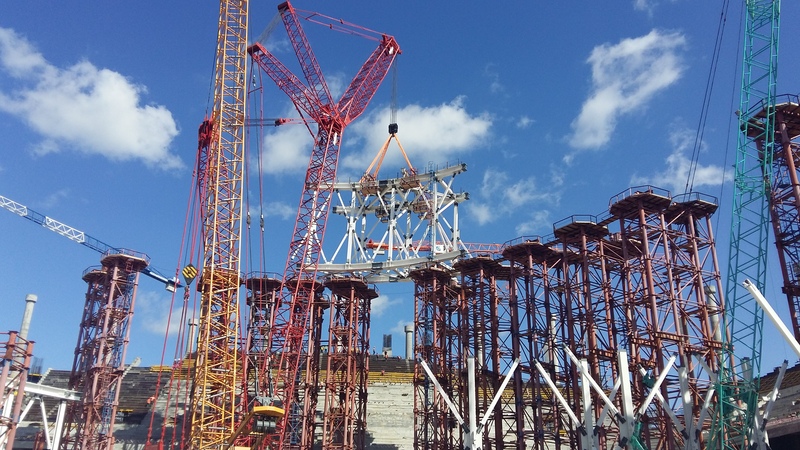 The specialists of the Third Unit of JSC “SEM” accomplished installation of the main equipment for gas insulated switchgear (GIS 330 kV) at the Leningrad NPP site. This enabled the workers of adjustment organization to start the high-voltage tests. 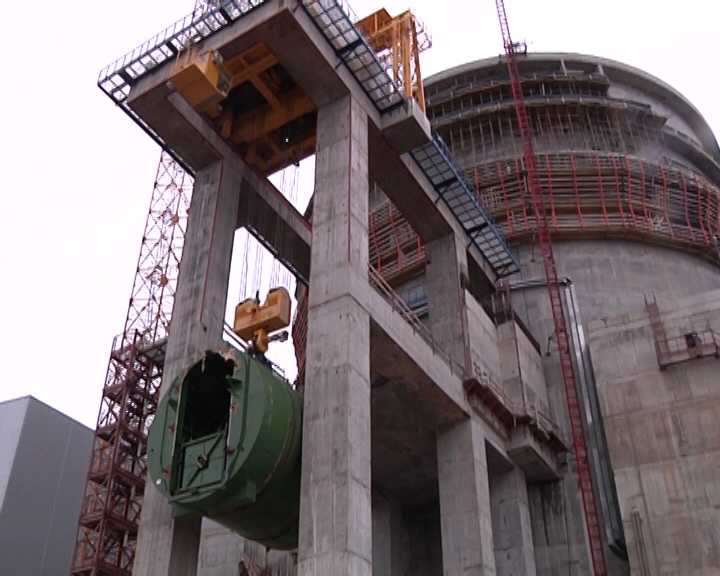 Specialists of “Titan-2” subcontractors installed the equipment at the fresh nuclear fuel storage of Power Unit 1 for the LNPP under construction. The test run of nuclear fuel transfer will be carried out in the facility with the use of FA simulator. The crane will be used to build a stadium for the FIFA World Cup-2018. Football matches at the group stage and also 1/8 stage and quarterfinal matches will take place there.